into my shop, believe it or not! and writing descriptions ... I go for one item over another. art deco cigarette box with a sliding celluloid lid. A sweet kitty child's hankie? What gives? It is adorable! One of these days I'll get to them. Linking to "What's It Wednesday"
Ha! time to hit the edit pile apparently. I have a similar 'problem'... a little different but similar.... will post about before too long hopefully. I have the same annoying problem!! 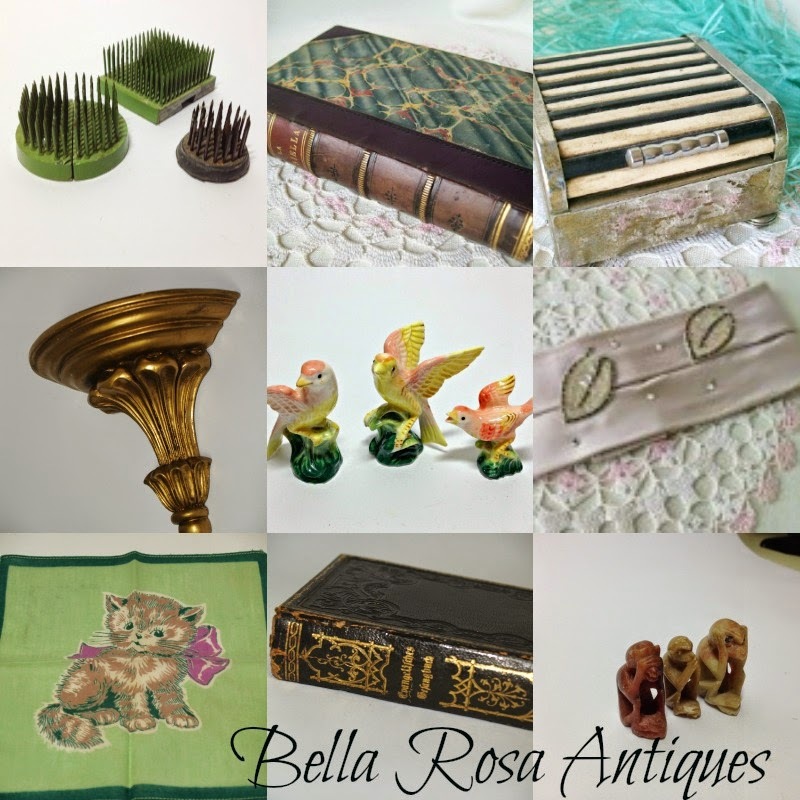 LOTS of stuff I never listed and been listing the newer stuff! I have made it my goal to list at least two "older" items till I clear the floor and shelves of what are really good things! A quirk in human nature? At least I am not alone....and neither are you!